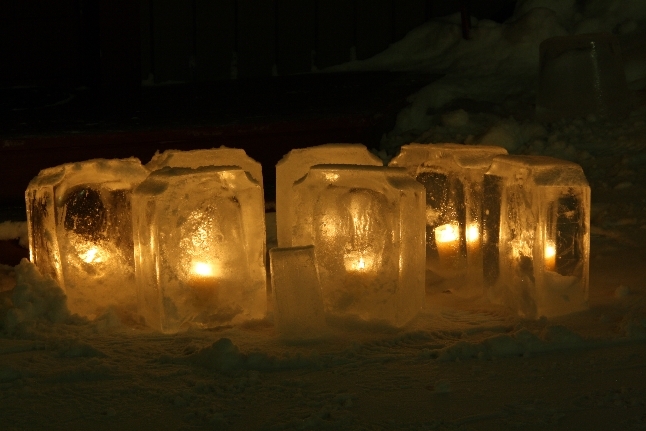 The official lighting is traditionally the first Wednesday in February, and ice lanterns are lit throughout the winter market period from Wednesday to Sunday. 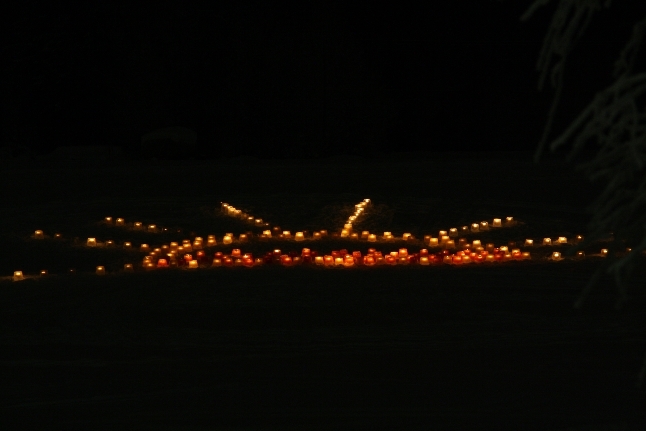 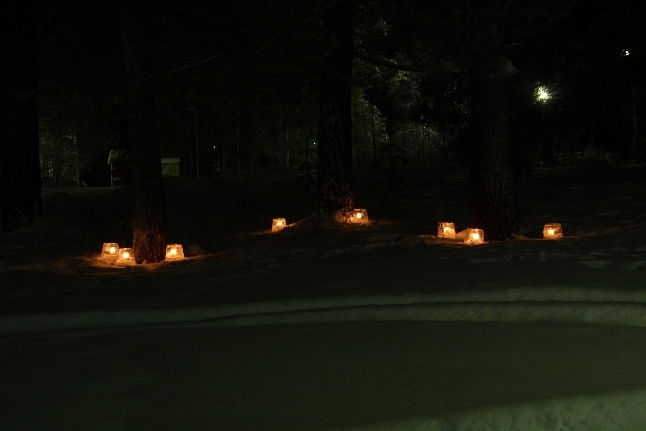 The candles used are long burning candles and many last for several days. 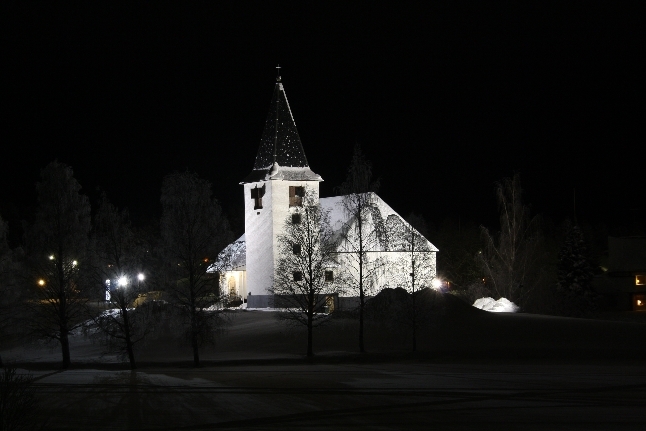 An abundance of visitors come to Vuollerim during this period just to witness the transformation of the village as it really has a truly magical feel about it. 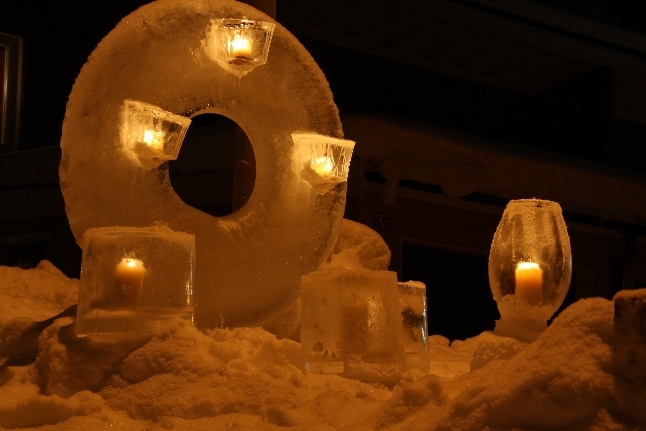 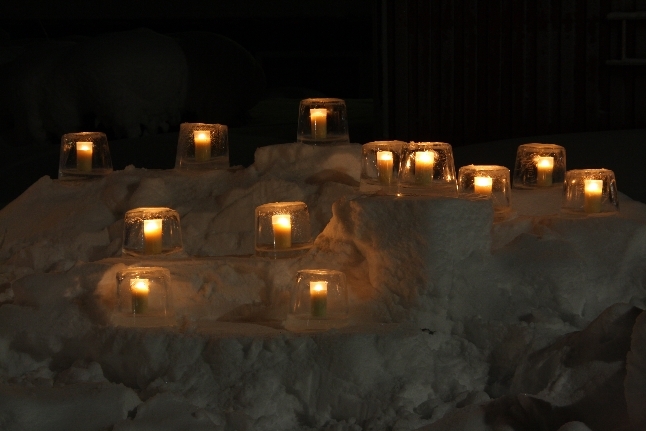 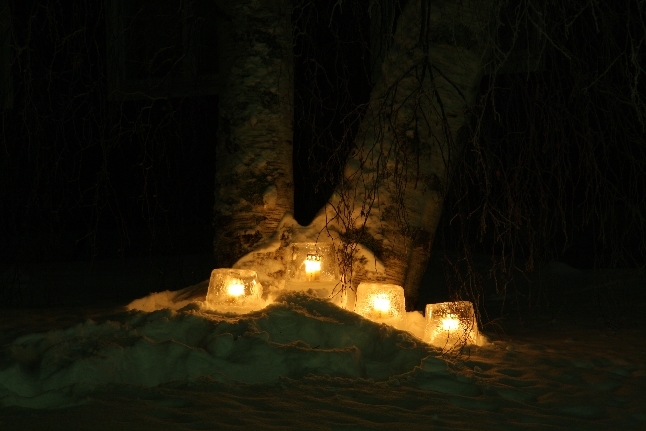 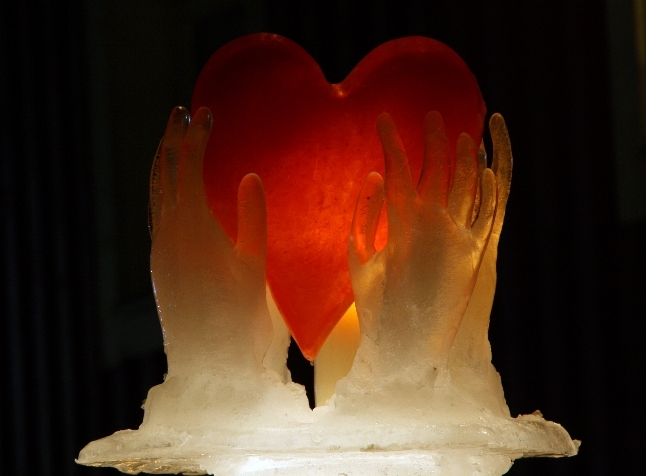 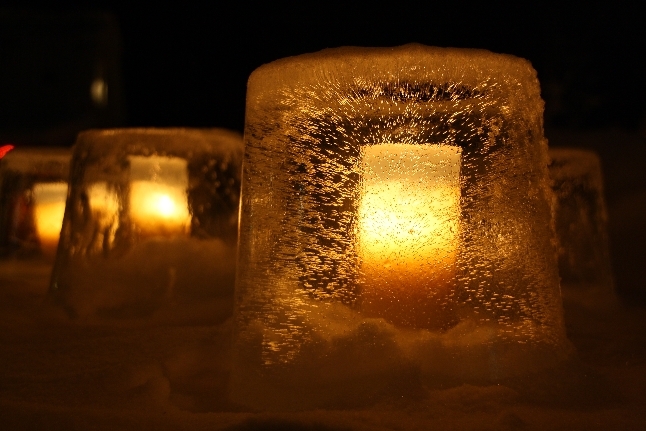 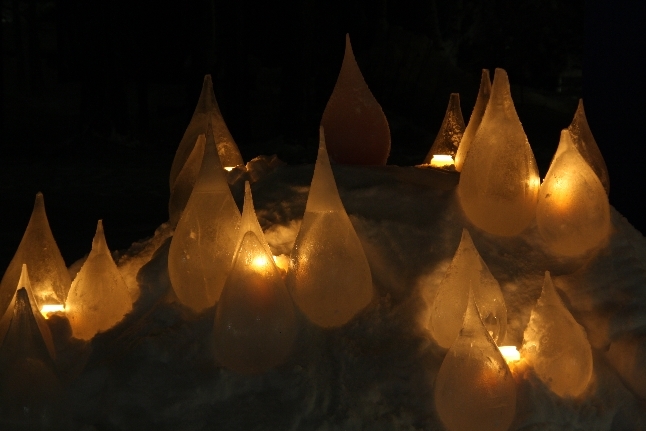 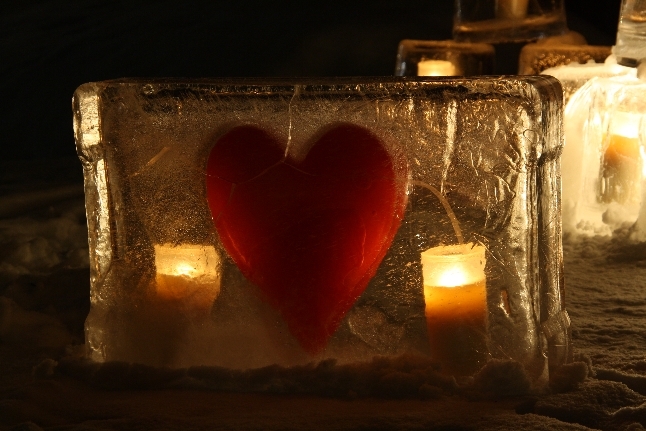 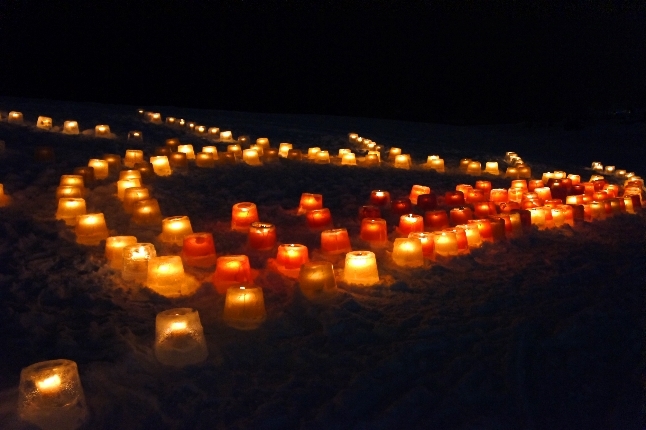 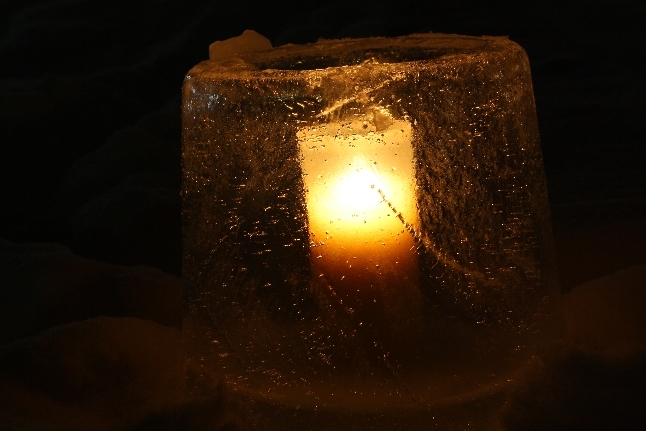 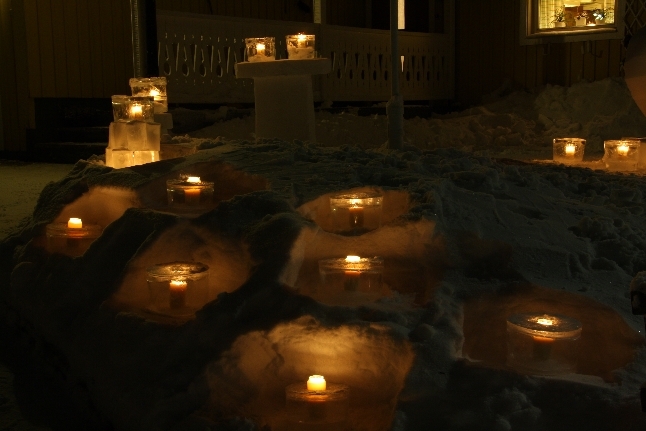 If you would like to try your hand at making ice lanterns, or other creative creatures and candle holders, then this is a great opportunity to be guided by one of the people who started the tradition. 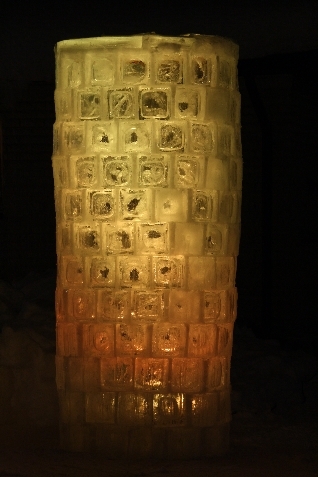 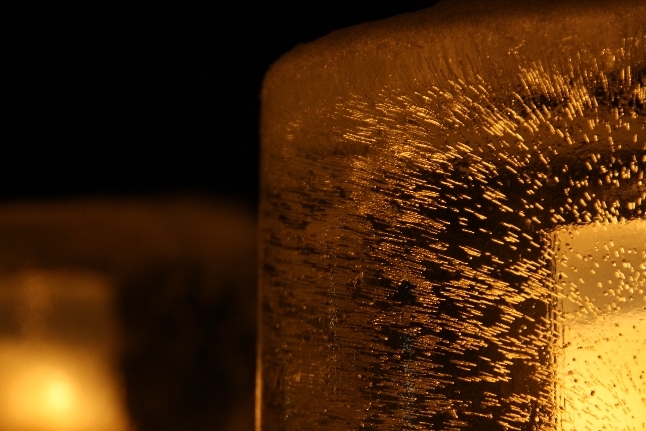 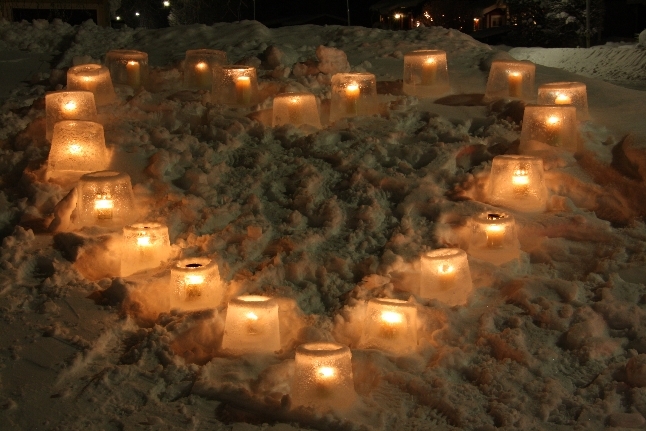 Workshop on how to make the traditional ice lanterns, a village speciality. 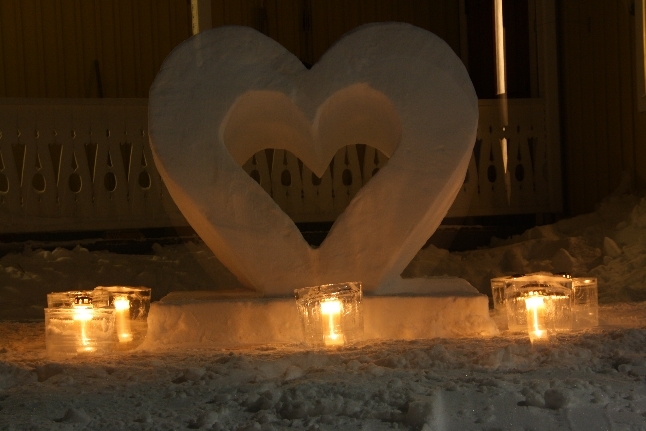 Price: 420 SEK/person. 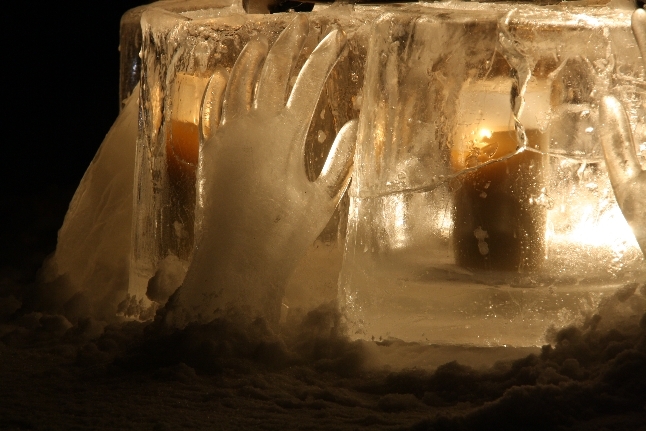 Childen 4-15 yeras old half price. 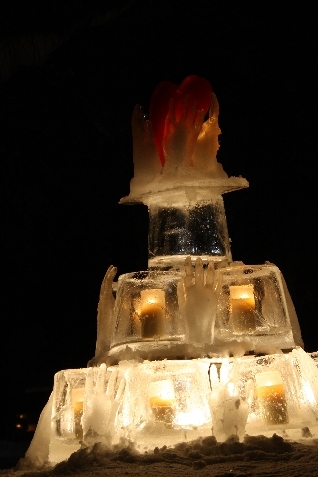 0-3 years old free.